The Viair 440P Portable Air Compressor is the largest, highest flowing portable compressor in the entire Viair portable compressor line up. With a maximum working pressure of 150 PSI and a 5-in-1 air hose with inline gauge, this compressor can inflate a 37-inch tire from 0 to 30 PSI in less than 5 minutes. This powerful portable compressor has a duty cycle of 33% at 100 PSI and air flow of 3.00 CFM making it suitable for on-site construction activities and vehicle tire inflation. The Viair 440P Portable Air Compressor comes with permanent magnetic motor and 50 Amp inline fuse holder. It runs with a 12-volt system with a maximum current consumption of 44 Amps and uses direct heavy-duty dual battery clamps with 50-amp inline glass tube fuse. Featuring a vibration resistant diamond plate sand tray, it offers stability while functioning. It also features a thermal overload protector which automatically shuts off the compressor when overheated. 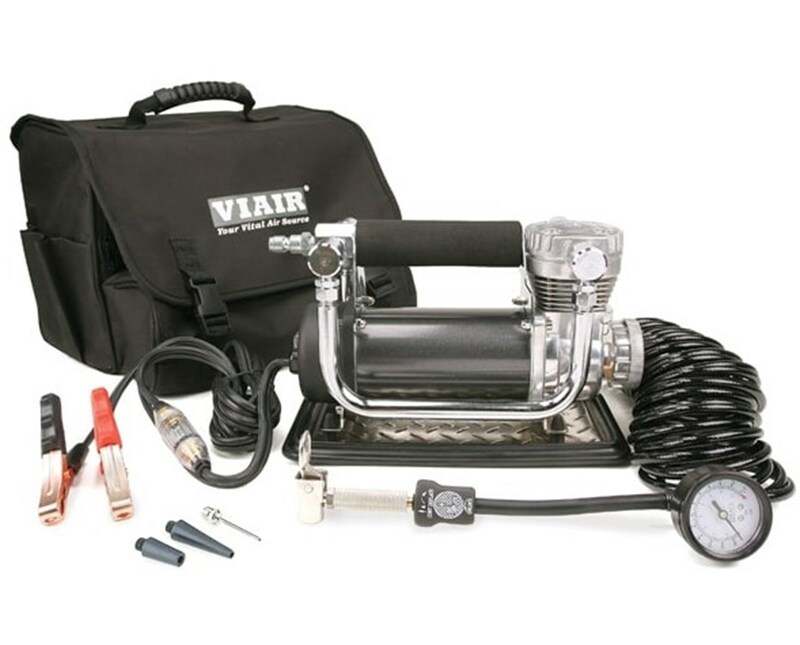 The Viair 440P Portable Air Compressor comes with a quick connect inflation hose with tire inflation gun and rubber over mold pressure gauge. To use, attach the supplied heavy duty battery clamp power leads to the battery then attach the lever style air chuck to a tire valve stem. 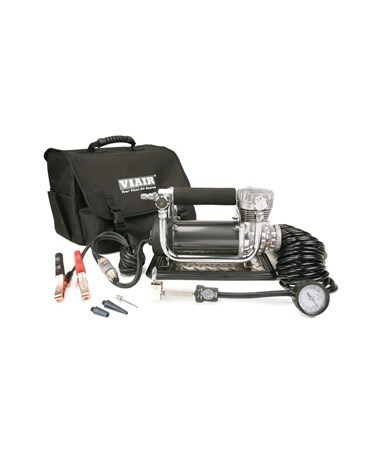 The Viair 440P Portable Air Compressor is the largest and most powerful portable compressor kit available today. It also includes dual compartment carry bag for added convenience. This compressor is moisture and dust resistant with an IP54 rating. It also comes with a 1-year manufacturer’s warranty against defects.